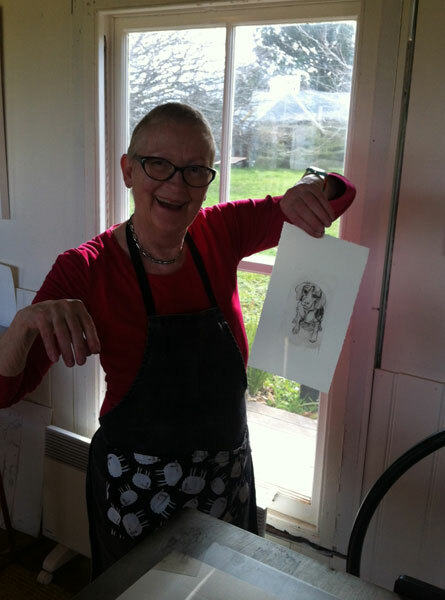 Sarah offers inspiring and creative workshops at her studio in Lauriston, located in central Victoria, just 10 minutes out of Kyneton.Treat yourself to a country escape and indulge in a weekend of creativity. 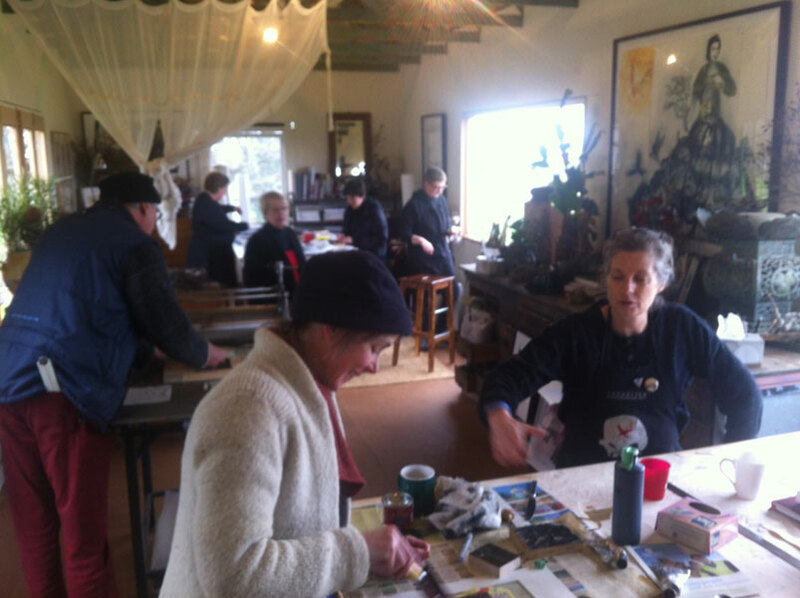 The classes run either for a day, over a weekend or in evenings. 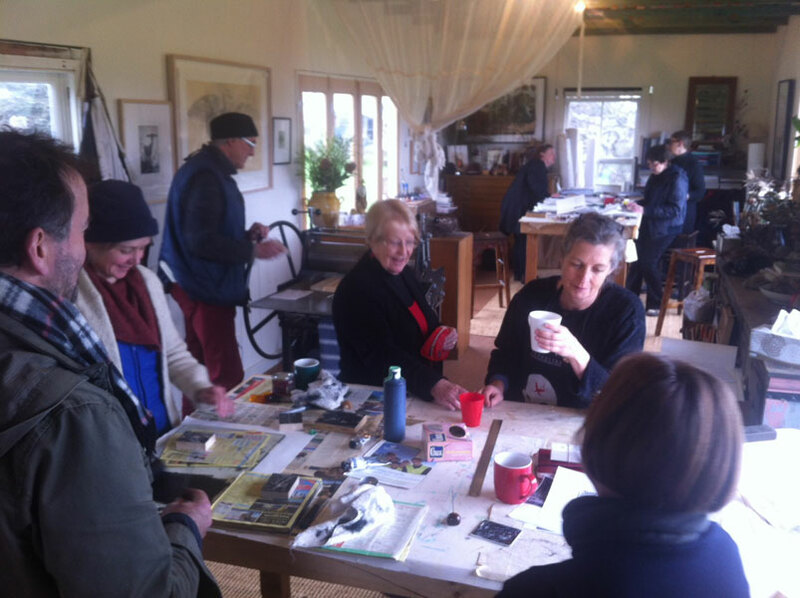 Groups of 6-10 people can book to attend a workshop that can be tailor made to suit their interests in drawing or printmaking. 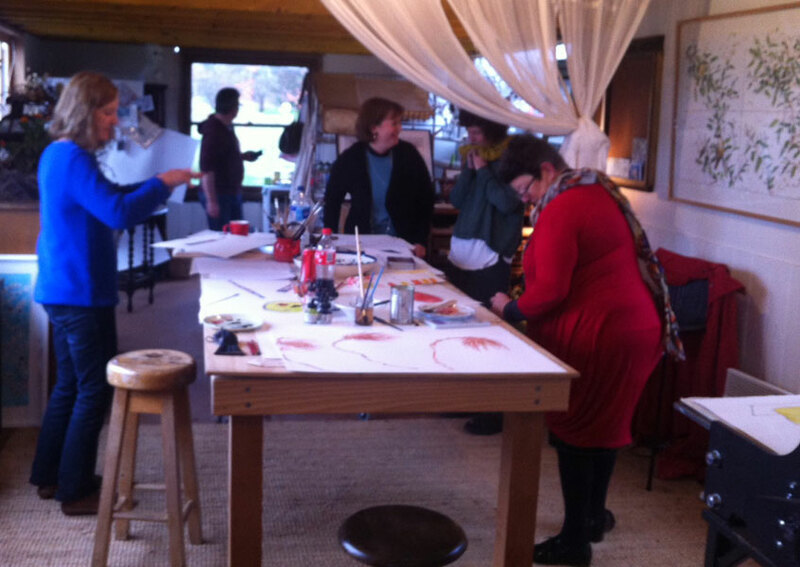 There are a number of workshops available for those participants who prefer to attend on their own or with a friend. 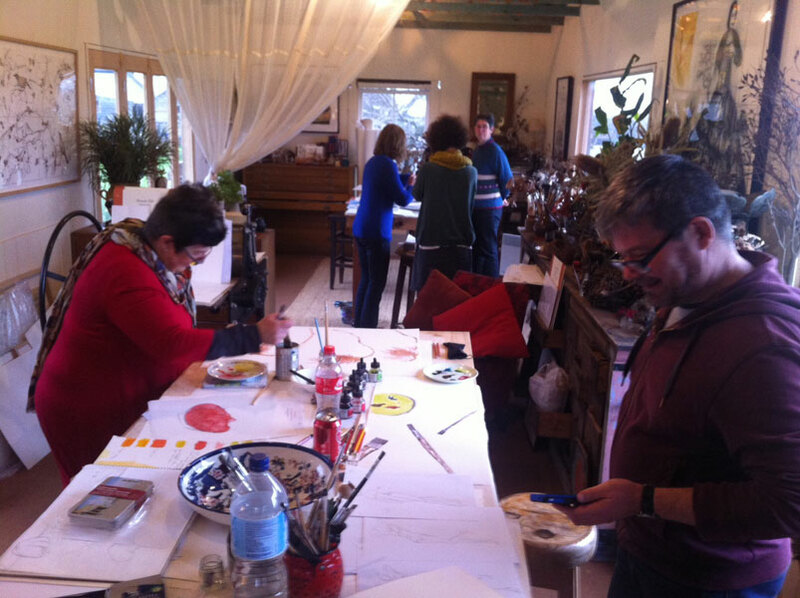 Our workshops are suitable for all levels and all materials are provided in the upfront cost. So whether you're a professional artist wanting to join the group 'energy', or someone beginning for the first time, we welcome all levels. For more information, feel free to call Sarah. Email sarah@lauristonpress.com.au or phone the Gallery Thursday to Sunday in Kyneton 54221710 to make any enquiries or to book. 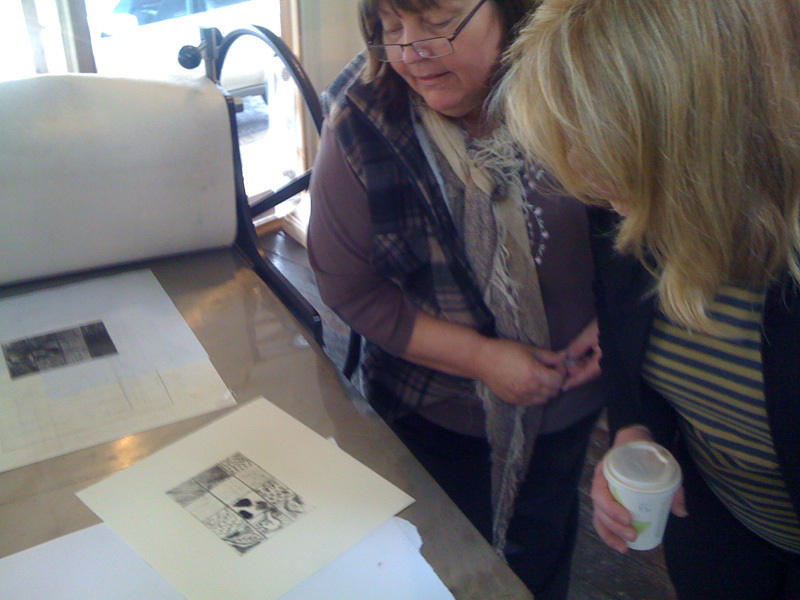 All dates and details are listed on the Lauriston Press website under 'workshops'. Classes fill quickly, so early bookings are advised. Please visit, email or phone first to check availability of places. We request upfront payment to secure a place in the workshop. We can also suggest accommodation to meet your needs and wonderful places to eat, based on your requests.